The best book I read in July was Little Mercies by Heather Gudenkauf. I will have to try Frog Music sometime. Thanks, and have a good weekend! I've heard good things about that one. Hooray for good reading in July! 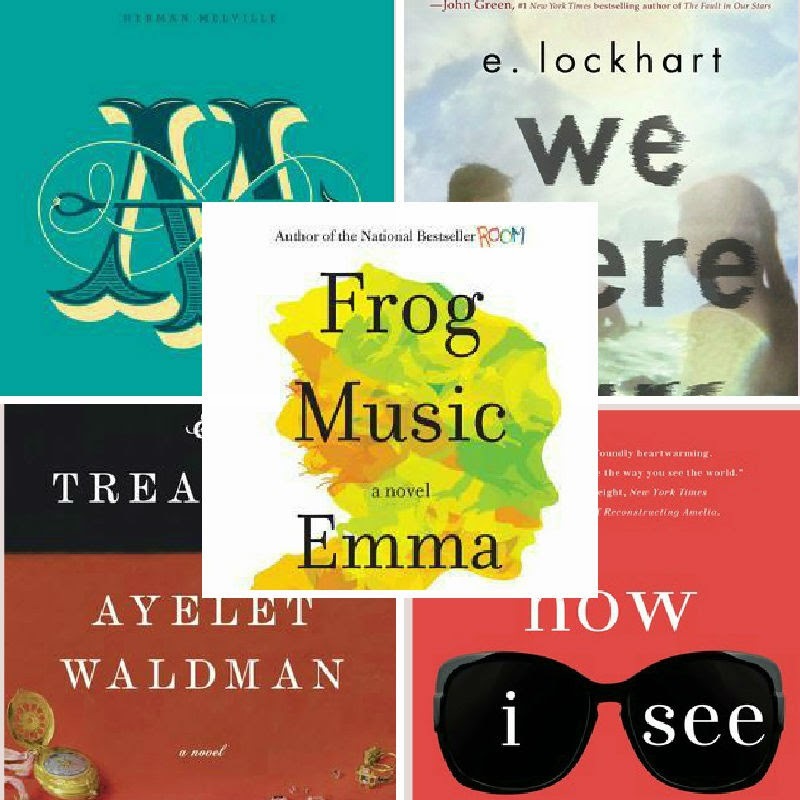 I'm definitely curious to read Frog Music after reading Room earlier this month. My favorite read of July? East of Eden. Hands Down! Good month for you! I am dying to read We Were Liars, currently have my library copy waiting for me. My best book this month was definitely The One & Only by Emily Giffin. We Were Liars was a good one! I hope you enjoy it. I swear that sometimes it seems like the queue at the library doesn't move at all. Until, of course, a bunch of books all come in at once!